But for the grace of the Almighty, where would we be? 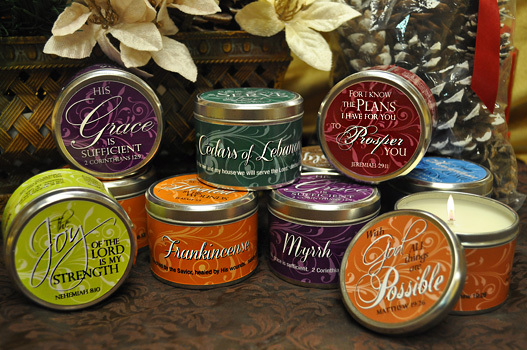 This simple but profound scripture, "HIS grace is Sufficient" from 2 Cor 12:9, adorns the lid of our Myrrh scripture tin. This candle is made with our long-burning, eco-friendly soy blend formula and makes a very special gift for any believer! Spikenard, the worship fragrance, is the perfect scent for this candle to complement the joyful scripture "The angels cry Holy is the Lord" from Isaiah 6:3. Give it as a gift to your worship leader or team members or use it during your time of worship to bring you into the Holy presence! Approx. burn time: 12-14 hrs.